Have a good Hogmanay folks! A wee alternative to Auld Lang Syne...! A hearty congratulations to Jan Gow of the New Zealand Society of Genealogists, who has been awarded the Queen's Service Medal in New Zealand for services to genealogical research. Jan was one of the speakers on the recent Unlock the Past genealogical cruise of New Zealand and Australia, and also attended many of the shore based events en route. In addition to her work with the NZSG, Jan also runs Hooked on genealogy Tours and Beehive Books. And here's a sneaky pic I took showing her (middle) helping to get the UTP stall ready in Little River near Akaroa! In a previous post (http://britishgenes.blogspot.com/2011/12/2011-what-year.html) I recalled my experiences of 2012 - now here is a summary of some of the stories you may have missed affecting British genealogy in the last year! Note that as British GENES did not start until September, there is more of a Scottish and Irish flavour to the earlier months of coverage. To visit the original stories in full - and considerably more! - visit both http://scottishancestry.blogspot.com and http://britishgenes.blogspot.com. Your Family Tree reached its one hundredth edition and also launched a new digital edition for iPad. FamilySearch very briefly uploaded the Scottish 1881 census to its new embryonic website, and just as quickly removed it again. Ancestry controversially announced the end of its Expert Connect service, which many genealogists had come to rely on to source clients, although a handful had perhaps placed their eggs in too small a basket. The ScotlandsPlaces website added clock and watch tax records to its site, and the Irish government announced its was going to create a certificate of Irish heritage, with no legal validity whatsoever, but one which would grant benefits to tourists visiting Ireland which the Irish themselves could not enjoy. Who Do You Think You Are? Live took place at the end of the month, and I managed to grab video interviews with many of the great and the good – Audrey Collins, Karel Kiely, Debra Chatfield, Jeanette Rosenberg, Tom Dennis, Janet Hancock, Alasdair MacDonald, Sherry Irvine, Robert Blatchford, Nigel Bayley and others – which can be watched on my YouTube channel. Deceased Online announced it was hosting records from Helen Grant’s Scottish Monumental Inscriptions service, and Fine Gael announced it was considering the release of the 1926 Irish Free State census early. Ancestry launched its New Zealand collections, and the National Archives of Scotland announced the closure of the West Register House search room in Edinburgh. The US version of WDYTYA opened its second season with Vanessa Williams, in possibly the American version’s best episode, and the BBC threatened to delete many of its websites, including its popular WW2 People’s War site – lessons from the wiping of old BBC programmes on video clearly not seeming to have sunk in after forty years. PRONI opened its new search rooms at Titanic Quarter in Belfast, heralding a bright new – and much cheerier – dawn for family historians in Northern Ireland (the old premises were a dump!). The new Scottish Public Records Bill was passed by the Scottish Parliament, the first major piece of legislation in 70 years, which now forces all public bodies to have a strategy for the care of their records. Advanced Search was rolled out to all counties bar two (Sligo and Limerick) on the RootsIreland site, thankfully almost rendering the original Standard Search facility obsolete. FindmyPast Ireland also launched, and Ancestry launched its Irish collections. Family Tree Maker became available for Macs, and Ancestry launched an app for iPad. The University of Bristol uploaded a range of Chinese trade directories. Rootstech got underway in the US and Unlock the Past launched its first genealogy cruise down under. The NAS finally agreed to allow photography of records in its search room at General Register House. The National Library of Scotland completed its free release of 700 Post Office directories for Scotland on its website. The National Archives at Kew rejoined the publishing race with a new partnership with Bloomsbury Publishing, which also acquired TNA’s back catalogue. The 1911 decennial census for Scotland was released online and the 2011 UK census was recorded. The NAS and GROS announced they were to merge in Edinburgh, and military historian Richard Holmes, who I had the pleasure of working with many years ago at the BBC, tragically passed away. John Grenham launched a new online Irish genealogy course in partnership with the Irish Times, whilst Glasgow University placed its historic student newspapers online. The Society of Genealogists rewarded Glaswegian executive producer Alex Graham for his contribution to the TV series Who Do You Think You Are. The Titanic Heritage Trust announced it was creating a new database of all who died, and their descendants, in time for the 2012 centenary. The 1911 census was released on Ancestry, though initially without an index. BBC Alba finally became available on FreeView and Virgin and The Genealogist released POW records online. The BBC’s 1986 Domesday project was brought back from the dead, and the Pensear website was relaunched as Ireland Genealogy, carrying 1841 and 1851 census extracts from across Ireland (previously for the north only). Industrial action hit archives across the UK, closing TNA and restricting many others. The SAFHS conference was held in Edinburgh, and a hoax briefly scared everyone that the 2011 UK census data had been stolen. FindmyPast added militia records to its military holdings, and Todd Knowles was recognised for his work on his Jewish database. Google signed a deal with the British Library, and BBC TV Centre was put up for sale. FamilySearch reintroduced batch numbers to its new site. WDYTYA returned with one of its strongest series in many years, and new leadership was announced at the University of Strathclyde’s postgraduate genealogy course programme. ScotFamTree held its AGM in Perth and the National Museum of Scotland opened once more in plush new digs. Rudolf Hess’s grave was destroyed by vandals, and Ancestry released Postal Service appointment books and London wills online. The former BBC Scotland digs at Queen Margaret Drive were placed on the Buildings at Risk register, and Nick Barratt and Laura Berry released the first instalment of the Family History Show via YouTube. The end of Windows XP support was announced for 2014 by Microsoft. I stumbled across a Fasti Ecclesiae Scoticanae database on FamilySearch’s Community Trees site, and MyHeritage announced a novel split subscription initiative. The National Family History fair was another resounding success in Newcastle, and the Canadian Gazette digitisation was completed on the Library and Archives Canada website. Genes Reunited held a war memorial competition, and I went in search of an axe murderer in Perthshire. The National Library of Ireland announced it was seeking legal advice over the presentation of Irish Roman Catholic record material on Ancestry, whilst the simultaneous civil registration indexes for Ireland release on Ancestry allowed more flexibility for marriage searches than FamilySearch. Ancestry also released naval and convict material. School log books for St. Kilda and Mingulay went online, and a new blog called British GENES came into being. Free to access street indexes for the 1841-1911 censuses were placed on ScotlandsPeople. FindmyPast released merchant navy material. Black History Month was celebrated, and a British Home Children memorial unveiled in Peterborough. New bus routes to PRONI made life easier for Belfast folk, and Derry Corporation records were released on its website. The Certificate of Irish Heritage site went live. A WW2 SAS diary was discovered. Google Plus welcomed everyone, LMA changed its opening hours, and My Heritage consolidated its various English language blogs. There was uproar in Ireland over proposal to delist archaeological and heritage sites that post date 1700, and TNA received a Queen’s Award. Jen Newby took over the reins from Penny Law as editor of Family History Monthly. I helped to celebrate the census at a conference at TNA in London, and Find My Past launched to much acclaim as the UK’s first ever advertiser funded television series on the Yesterday channel. The Black Watch suspended its research service, and the British Empire Medal returned. Genealogists for Families was launched as a Kiva based charitable venture, and PRONI launched a YouTube channel. Back to Our Past in Dublin was a success, as was the new Irish and Local History Handbook from the stable of Bob and Liz Blatchford, and Ancestry launched its first 1911 census indexes. FindmyPast Ireland launched prison registers online for the Republic, and Warwickshire and Dorset records joined Ancestry. A Viking boat burial was found in Scotland, and the Times Digital Archive announced it would be extending its coverage. Kerry burial registers went online, and Bletchley Park appealed for funds for its restoration, and also secured lottery funding. JSTOR provided free access to its early journals content, and scientists recreated the Black Death. A cemetery was devastated in Greenwich by the very people tasked with preserving it, ‘succeeding where the rioters failed’. Family Tree Maker 2012 was released in the UK. The Red Cross suspended searches into WW1 POW records, as the research was getting in the way of the records’ digitisation. 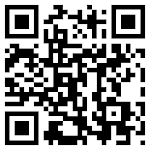 Family Tree Magazine’s website regenerated. The first Scottish censuses joined FindmyPast, in transcript form only. Lara Watson left Your Family Tree as deputy editor, and Discover my Past England magazine sadly became an ex-parrot. The Irish Government suggested the 1926 census might be released in 2016. There was more strike disruption affecting British archives, and the return of Heredis for Mac computers was promised. Plans for FindmyPast to go global were revealed, and the Family History Show launched its website. The Romany and Traveller FHS took part in the Remembrance ceremony at Whitehall for the first time. The British Newspaper Archive was released online, initially as a beta then a full blown release. Guns on a spitfire excavated from a Donegal bog were found to still be in working order. Ancestry added navy lists to its holdings, as well as details of Silver War Badge holders, and FindmyPast added Cheshire records. Scottish Catholic Registers were added to Virtual Volumes in the NRS Historic Search Room, and FIBIS launched a DNA project. Nursing records were released on FindmyPast and Documents Online, and the Glasgow Roll of Honour project for the First World War was completed. Adam Rees became editor of Your Family Tree. The Lost Edinburgh Facebook page returned, having previously been kyboshed by the RCAHMS over copyright issues. The GRO in England announced a new phone number, and the redundancy of 27 staff. Ancestry and My Heritage released apps for Android and iPad, and My Heritage announced an update to Family Tree Builder. The SSDI in the USA became cannon fodder for politicians, and the European Museum of the Year nominations were revealed for 2012. Edinburgh City Archives relocated, and Scottish GENES became an ex-parrot. The JewishGEN and JGSGB databases were updated, and archaeologist Tony Pollard announced to heartfelt cheers across the nation that he wanted to dig up the Falkland Islands (OK, I exaggerated that one!). Databases from the NRS were made available in the ScotlandsPeople Centre, and the British GENES Facebook page was launched. With time's winged chariot parked half on the pavement and New Year‘s Day just about to knock on the door and first-foot us all, we thought it‘d be a good time to post some ’On this day‘ Hogmanay and Ne'erday stories on our Facebook page. As the first of January is often a day for new legislation to arrive on the statute books, some momentous events have taken place on first days of the year. President Lincoln's proclamation on New Year‘s Day 1863 that all slaves in the rebel states (i.e. states of the Confederacy) were now free, is one good example of a dramatic New Year‘s resolution from a major law-maker. The archive story that reports on the emancipation proclamation offers a real sense of this famous moment, as it contains Lincoln‘s words in full - and Lincoln did have a way with words. The Inauguration of the Commonwealth of Australia takes place in Sydney in 1901. 'The king o'er the water' (b. 1720), the famous messenger (and muse for Longfellow) of the American Revolution (b. 1738) and the founder of the modern Olympics (b. 1863), are just three of the historical celebrities who were born on 31st December and 1st January. So to celebrate their birthdays, we‘ve included a story for each of them. Summaries of Hogmanay in Glasgow and other Scottish towns. We hope you enjoy reading these newspaper reports in our gallery of Ne‘erday stories - available at www.facebook.com/TheBritishNewspaperArchive. Getting ready for 2012 now! Following my recent blogicide with Scottish GENES in favour of my British GENES blog, I have also now set up a new Facebook page for British GENES at www.facebook.com/BritishGENES. As with the Scottish GENES blog I will also be committing Facebook-icide soon with the old Scottish GENES Facebook page so please do sign up to the new British GENES Facebook page for continuous updates. So here we have it folks, the grand draw to win two copies of my latest book, Irish Family History Resources Online! Congratulations to Bob Fraser of Sterling, Massachusetts, USA, and Diane Bamberger of Toronto, Ontario, Canada! And theoretically, if you keep going back, by the time you get to your twenty times great grandparents you would have 4,194,304 ancestors within that generation - but that's a bit unlikely! We'd be well into the realms of cousins intermarrying by this point - not least of which because we'd probably have more ancestors than the population of Britain! Congratulations again to the winners, the books will be posted to you in the next few days, and thanks to all who participated. If you would like to get a copy of Irish Family History Resources Online it can be purchased from Gould Genealogy at www.gould.com.au/Irish-Family-History-Resources-Online-p/utp0282.htm - the international postage rate from the company is the same rate as postage would be within Australia. A fascinating collection of 146 volumes (40,000 pages) of veterinary medicine reports have been added to the Wellcome Trust-funded Medical History of British India website. Covering 1864-1959, the reports focus on veterinary diseases, colleges and laboratories and Civil Veterinary Departments. This free to access, important material provides extensive research on animal diseases such as surra and rinderpest. Detailed reports show how veterinary medicine was used by the British colonists to control disease, maintain livestock and alleviate famine and its effect on military and local communities. This material will be useful to those interested in veterinary science, military medicine, animal husbandry and agriculture. Detailed maps of Scotland from the 1890s and the 1940s, as well as thematic maps of Great Britain in the 1940s, are newly available on the NLS maps website. The maps have been georeferenced to align with their correct location, so that you can easily view the same place at different times in the past. You can also compare the historic maps to modern Google maps and satellite imagery. The work is the result of a new public-private partnership between the National Library of Scotland and Wilbourn Associates. Parliamentary papers are one of the richest and most detailed primary resources for British history, its colonies and the wider world. As well as the likes of Keynes and Beveridge, many other prominent people contributed to the papers including John Stuart Mill, Michael Faraday, Edwin Chadwick, Karl Marx and Charles Dickens. These are the working documents of government for all areas of social, political, economic and foreign policy. The House of Commons Parliamentary Papers are now available to search online. In addition to the papers, the resource now also includes Hansard, all with searchable full text and detailed subject indexing. NLS stages its annual roadshow in March 2012, working in partnership with East Renfrewshire Libraries in Giffnock. On Sunday 11 March a local history fair takes place at Eastwood Theatre, Giffnock, bringing together national and local library services and displays to celebrate local history. It includes talks by NLS Map Library and Scottish Screen Archive staff. On Monday 12 March workshops take place for local schools, teachers and librarians. The roadshow, run in partnership with libraries across Scotland since 2006, encourages communities to explore the Library's collections and services. What a year! 2011 has been the busiest I have had since starting up professionally as a family historian, with various books, client cases, magazine articles, overseas trips and more to keep me occupied for the last 12 months. Now that the year is drawing to a close I’ll be summarising it in two posts, the first to deal with my own year, and the second to summarise the family history year itself. As well as visiting Canada in June to speak on Irish and Scottish ancestry for the Toronto branch of the Ontario Genealogical Society, I also had the pleasure of taking part as a speaker in Unlock the Past’s second genealogy cruise of New Zealand and Australia, which allowed me to speak at various shore based family history societies and archives, particularly in New Zealand. In addition I also spoke at various local family history societies here in Scotland, the ScotFamTree AGM in Perth and a special Tayroots event in Dundee, and had the pleasure to work with Bob and Liz Blatchford once again at both Who Do You Think You Are? Live in London and the National Family History Fair in Newcastle. There’s more to come with another Tayroots venture at Carnoustie in May, and for the first time I’ll be giving a couple of talks at Who Do You Think You Are? Live next February, which I’m really looking forward to. On the publishing front, my Tracing Your Family History on the Internet book became Pen and Sword’s fastest ever selling genealogy title (it may well have lost that by now! 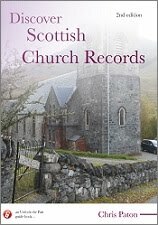 ), whilst two specially commissioned books for Unlock the Past (Discover Scottish Church Records and Irish Family History Resources Online), along with my internet book and last year’s Researching Scottish Family History book, have all made it into Gould Genealogy’s top 50 family history items selling Down Under – Discover Scottish Church Records in particular selling well at number 3, and as their second fastest selling book. I’ve also contributed to the Irish Family and Local History Handbook, the Family and Local History Handbook 13, and History and Genealogy 2011: Australia and New Zealand, whilst in November I finally submitted the manuscript for my next book, The Mount Stewart Murder, which will be published next June by The History Press. This has been a long time in coming (I started it six years ago!) but is one which I am particularly pleased with, as it concerns the unsolved murder of an ancestor from 1866 – so just a bit more personal! I also have another title on the cards for Unlock the Past, and am toying with a couple of other ideas for other media, but more on that if I can actually figure them out!! On the magazine front there was a sad farewell to the short lived Discover my Past England title from Brightsolid, and a few changes editorially with two titles, with Penny Law handing over the reins of Family History Monthly to Jen Newby, and Tom Dennis doing the same at Your Family Tree to Adam Rees. I’ve been as busy as ever with columns and articles for both titles (next week sees me writing my one hundredth article for YFT! ), Discover my Past Scotland, Irish Roots, Your Family History, and a new bi-monthly family history column for History Scotland, whilst at Family Tree I am no longer doing the main news pages, but have instead started a new article based column each month looking at the family history world. Plenty more to come on all of these fronts! As a consequence of all of this activity I have done considerably fewer client cases this year, so will be prioritising that for the next few months as I am getting itchy feet again! Full details of my research service are at www.ScotlandsGreatestStory.co.uk. I will also be continuing to teach the two Scottish genealogy courses through Pharos Teaching and Tutoring Ltd – for more information on these (and other offerings from Pharos) please visit www.pharostutors.com. One of the nice things about events such as those in Dundee, Toronto and New Zealand has been getting a chance to meet a few former students, and to hear that the courses have been so useful to them! The biggest change for me personally this year has been the decision to cease publication of my Scottish GENES blog, which ran for four years, in favour of its newer sibling, British GENES. The reasons for this are simply to do with my reasons for creating the blog in the first place. When I first created Scottish GENES it was to force me to keep up to date with all the developments within Scottish family history, but as my various research and writing activities have grown I have received more and more UK and worldwide press releases and stories than I could deal with on a purely Scottish blog – so it seemed a natural way to extend the ‘brand’ really. For those only interested in Scottish stories still, simply clicking on the ‘Scotland’ label under a story will bring up all stories featuring the country only. Just to end, I need to thank a few people for help on all sorts of fronts this year, including Bob Blatchford, Alan Phillips, Rosemary Kopittke (and all at Gould Genealogy and Unlock the Past), Seonaid Lewis, Lynne Blake (and all those within the New Zealand Society of Genealogists who facilitated talks down under), Linda and Pierce Reid, James Thomson (and the Scottish Interest Group of the Toronto Branch of the OGS), Simon Fowler, Matilda Richards, Willie MacFarlane, Emma Howe, Hilary Bowman, Helen Tovey, Tom Dennis, Adam Rees, Penny Law, Jen Newby, Nick Barratt, Laura Berry, Julie Phibbs, Alex Airlie, Sheila Faichney, Helen Osborne, Else Churchill, Emma Jolly and Perth and Kinross Archives. Finally, thanks to both my wife and kids, to the various Scottish FHSs who had me along this year, and to all those who have followed my various waffles on Twitter, Facebook and on my various blogs for the last 12 months. Thanks all, and here’s to 2012…!!! FindmyPast Ireland (www.findmypast.ie) has released Thom's Irish Who's Who 1923, a biographical collection which contains 2500 names over 280 pages listing those who were "conspicuous in the Nation’s History, and includes leaders of thought and action in all fields of enlightenment and civilization". Did you know? BMSGH is working with Birmingham City Council to digitise the interment registers of cemeteries in the city. To date, three registers have been filmed and indexed. Key Hill, Warstone Lane and Handsworth cemetery. Normally I find anything to do with the DNA concept of 'deep ancestry' seriously boring, as I take it for granted that we all came from Africa aeons ago. However, there is quite an interesting article on the origins of marriage available at www.ncbi.nlm.nih.gov/pmc/articles/PMC3083418/, entitled Evolutionary History of Hunter-Gatherer Marriage Practices. I'm not quite sure if it is entirely written in English, but stick with it! Amongst the authors' conclusions is the statement that "Our phylogenetic results support a deep evolutionary history of limited polygyny and brideprice/service that stems back to early modern humans and, in the case of arranged marriage, to at least the early migrations of modern humans out of Africa. It is conceivable that marriage involved some level of arrangement, regulation, and reciprocal relationships from the very earliest inception of marriage-like cultural institutions." I'm now wondering if those who feel as if they have been married forever might be experiencing some kind of race memory....! The Royal Commission on the Ancient and Historical Monuments of Wales blog has posted news of a project to digitise early British aerial images, as sourced from the Aerofilms Collection, and to place them online. The project is being carried out with its sister organisations English Heritage and The Royal Commission on the Ancient and Historical Monuments of Scotland. Spanning the 1940s, 50s and 60s, each film was captured in and around the London borough of Sutton. Footage of the Sutton Carnival procession, Manor Park station, the Boys’ Brigade, Sutton Guides/Brownies and Queen Mary’s Hospital School all feature. All films were digitised as part of the Digital Film Archive Fund project Seen on Screen, in association with Sutton Local Studies & Archives Centre. This event held at London Metropolitan Archives on Monday 9 January is FREE. The film clips will be shown on a rolling loop, for anyone to drop-in from 1 to 4 pm. Peter Darley, founder of Camden Heritage Trust, will present a talk on the historical background to Camden’s railway heritage and the role of the Trust. The talk will focus on Chalk Farm Station, Primrose Hill tunnel and approaches, and Camden Bank, including the Camden Goods yard area. This talk held at London Metropolitan Archives on Tuesday 17 January at 2 pm is £5 - but you must book in advance on 020 7332 3851. How does the past inspire the present? What stories are in the archives waiting to be discovered? Will you write them? An inspirational, practical workshop exploring the stories and experiences of LGBTQI people, as revealed in records and documents held at LMA. Together we’ll explore how posters, images, court cases and campaigns reveal fascinating histories and narratives, just waiting to inspire poetry - and sing us stories about ourselves. This workshop is for both new and emerging poets. This workshop held at London Metropolitan Archives on Thursday 19 January from 10 am to 4 pm is FREE – but you must book in advance on 020 7332 3851. Writer, Rommi Smith will present an evening of new poetry based on documents and records linked to LGBTQI history held at LMA. The poetry is written and performed by new and emerging poets, inspired by writing workshops supported by Write Queer London. This workshop held at London Metropolitan Archives on Thursday 19 January from 6 to 7.30 pm is FREE – but you must book in advance on 020 7332 3851. As part of National Storytelling Week join us for a day which reveals war stories from the collections through letters, personal accounts and film. Explore the work of writers, such as Sarah Waters, who have used LMA’s records. This event held at London Metropolitan Archives on Tuesday 31 January from 10.30 am to 3.30 pm is £5 - but you must book in advance on 020 7332 3851. As it is Start Your Family Tree Week from today, I am going to join in the festive fun with a competition to allow two readers a chance to win copies of my latest book, Irish Family History Resources Online. The book is not available for sale in the UK, as it has been published by Unlock the Past (www.unlockthepast.com.au) in Australia, and so the small pile I have here in my house may well be the only copies in Britain - so there's no better reason to try to win a copy now! The book is packed not only with links on useful Irish resources, but all sorts of useful tips on what to do with them - how to save money by using particular research strategies on some sites, clues not to miss with other resources that you may happily glide by without realising the importance of and so much more. Bear in mind that with my wife and myself coming from opposite ends of the island of Ireland and each kicking with a different foot, you'll find I've been dabbling into all sorts for all sorts in the book! To enter, please send the answer on an email to enquiry@scotlandsgreateststory.co.uk with BRITISH GENES COMPETITION as the subject header. Please at this stage simply give me your name, the answer, and the village/town/city where you live (if overseas, help me out a bit with the country also!). Winners will be contacted for further details in due course. The closing date for the competition is Friday 30th December at 12pm GMT. The winners will be announced on this blog shortly after. Didn't get exactly what you wanted for Christmas? Never mind - with 50% off most Archive CD Books Britain and Ireland titles during our Winter Sale, you're bound to find something that's perfect for you! Sale excludes existing special offers and U.K. Census Titles. Don't miss out though - the sale runs from 26th December 2011 to 8th January 2012. Browse the Archive CD Books Britain and Ireland shop now. 2,577 baptisms and 1,730 burials at Staindrop St. Mary the Virgin in Teesdale district, covering 1765-1812, from the Bishop’s Transcript with some missing bits filled in from the parish register. Residences mentioned include Alwent, Blakeley, Cleatlam, Darlington, Dent Gate, Farmhouse, Gawens House, Gibsneese, Hilton, Hullam House, Hungerknowle, Ingleton, Keverstone, Langleydale, Leeside, Lucy-cross, Moorside, Motherly House, Mulberry, New Mulberry, New Raby, Parks, Raby, Raby Castle, Raby Folly & Parks, Scaifhouse, Shotton, Snotterton, Staindrop, Staindrop Moor, Streatlam, Wackerfield, and Wardhouse. We have added a new category of records – Vestry Minutes. So far, we have only a small set of 58 vestry minutes from Lanchester All Saints parish, covering Jan 1827 to the end of July 1828. Our first transcription of the 1911 census covers the colliery villages of Old Seaham and New Seaham, with 6,349 residents. Replaced the index to marriage bonds in the years 1755-1759 with full details, so those 1,481 records are now instantly available, including 1 new bond that we missed the first time around. The main public facing telephone number for the General Register Office (GRO) will be changing from 5 January 2012. From that date, GRO will cease to publish the current 0845 603 7788 telephone number for customers who wish to make an enquiry about, or place an order, for certificates. Customers who previously contacted GRO via the 0845 number will be asked to contact 0300 123 1837. This aims to be a particularly memorable number for customers as civil registration was introduced in England and Wales in the year 1837. Telephone numbers beginning with 0300 are non-geographic numbers, specially designated for use by public bodies and not-for-profit organisations. Calls to 0300 numbers are not free and should not be confused with 0800 numbers. Nollaig Chridheil from British GENES! Nollaig Chridheil / Merry Christmas to all British GENES readers. I hope your turkey is suitably big and your glass well filled throughout the day tomorrow! I'm doing traditional this year tomorrow, but for Boxing Day I've decided to try something a little different, in the form of two zebra burgers purchased from my local butchers in Largs. Never tried zebra before...! See you all on the other side...! The Genealogist (www.thegenealogist.co.uk) has added records for Essex to its 1911 census collection. Find out what resources the Library holds to help you with your family history research. The workshop includes some practical information on how to become a reader and will include a short tour of the public area. Discovering Family History workshops book up very quickly, so please reserve your place as soon as possible. Learn how to register as a reader, find your way around the Library, request material and find out about other services. The workshop includes a tour of the Reading Rooms. If you are planning to register to use the Library after the workshop, please bring evidence of identity such as a current driving licence or recent utility bill. This workshop offers an introduction to the vast online newspaper resources available via the National Library of Scotland, including demonstrations and tips on how to search and discover the information you need. Workshops fill up quickly so please book your place online via https://auth.nls.uk/events/, or call 0131 623 3918. The latest edition of The Master Genealogist, version 8, is now available. It's a programme that I used to use a few years back but one that I soon found to be horribly jurassic and overly complicated, however it has a keen user base and has improved in recent editions. It's also quite useful if you have DNA interests, as it adequately allows you to record test results etc. Peter Munro of Borders FHS has posted a piece on his blog about a suspicious phone call he received on Thursday on behalf of a magazine apparently calling itself Genealogy UK. Like Peter it is not a title I've heard of, so worth flagging up, in case it is a scam. Peter's post is at http://blog.bordersfhs.org.uk/2011/12/new-telephone-scam.html. A quick post here to mention a film that I saw recently when down under, which I mean to mention in my blog post on the trip. Whilst at sea we had a nightly cinema on the go, and on one particular evening my wife and I went to see a film called Oranges and Sunshine. We had no idea what the film was about - it was billed as being about a social work scandal in Nottingham by the ship's entertainment team, and as we had nothing better to do we decided to kill a couple of hours watching it. 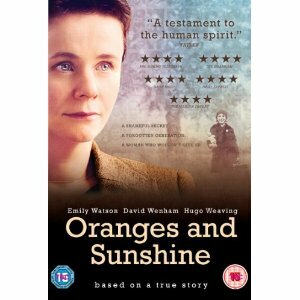 In fact, Oranges and Sunshine turned out to be one of the most powerful films I have seen in recent years. The social work scandal was something just a little bigger than expected - the story of Margaret Humphreys uncovering the British Government's home children scheme, to deport children to Australia, New Zealand, Canada and other dominions around the world, and to bring it to the public's attention. Her efforts led to the formation of the Child Migrants Trust (www.childmigrantstrust.com), and eventually to an apology by the former Prime Minister, Gordon Brown, in February 2010, who apologised on behalf of the British Government for the scheme which was first implemented in Victorian Britain and continued until 1939. It's a fairly grim watch at times, but ultimately uplifting. British GENES competition - coming soon! So keep your eyes out next Monday for my first ever competition on the British GENES blog, when I'll post a question so devastating in its complexity that everyone will be able to answer it! Up for grabs will be two copies of my new book, Irish Family History Resources Online, published down under in Australia by Unlock the Past. I'll announce the winners when I run out of turkey next Friday, and my head's cleared a bit from all the Christmas cheer I foresee heading my way (it's called Laphraoig, and has been blessed by God himself)! Ancestry Android app - at long last! Ancestry (www.ancestry.co.uk) has finally uploaded a fully interactive version of its Android app, aeons after its iPad version became available online. I recently uploaded the demo version to my Android based tablet, and was very impressed with, albeit with it in a read only mode. I have recently moved onto an iPad, and have the full version installed on this, but the complete version of the Android app will be welcomed by many, particularly as Android is terribly served with genealogical apps at present. Orders must be placed and paid for by December 31, 2011 to receive this offer. Will bring the press release if I get it in due course...! For the holidays, and to mark the release of Family Tree Builder 6.0, we're announcing today a limited-time, huge 30% discount on all our 1-year subscriptions and an even greater 44% discount on all our 2-year subscriptions! If you've ever considered a subscription, now is a great time to get one, before this offer expires. More details on this discount below. • All Premium features of Family Tree Builder 6.0 (current and future). These include Smart Research results, Smart Match merging, all-in-one charts and interactive maps. • Up to 2500 names and 500MB of storage for photos and documents in your family site. • Lower price for World Vital Records subscription. Our PremiumPlus subscription is the best you can get. It offers all the benefits of Premium listed above, plus unlimited family tree size and unlimited storage capacity for photos and documents. PROVO, Utah & LONDON & TEL AVIV, Israel – December 21, 2011: MyHeritage.com, the largest family network on the web, today announced the release of Family Tree Builder 6.0, the most comprehensive free software for family history fans around the world. With the addition of automatic research in historical records and new features for presenting family memories, Family Tree Builder 6.0 makes researching family history more engaging and rewarding than ever. Millions of family history enthusiasts and genealogists worldwide use MyHeritage’s Family Tree Builder software to explore, document and showcase their roots. The newly improved Family Tree Builder 6.0 will enable them to access historical content for the first time, view their family history in several innovative and stylish new ways and help celebrate family events - past and present. Following the recent acquisition of World Vital Records by MyHeritage, Family Tree Builder 6.0 adds historical content to its suite of features for the first time. The software automatically searches for relevant historical records amongst billions of birth, marriage, death and census records, plus newspapers and yearbooks - whenever information in the family tree is added or edited. Relevant historical records for any person in the tree can then be viewed in just one click. • Family Statistics: MyHeritage analyzes the family tree and produces 45 beautiful, enlightening statistics like average lifespan and most commonly used first names. Many unique stats not available anywhere else are displayed. For example, the geographical distribution of countries of birth and residence, the top families where the gap between the age of husband and wife is highest, the average age difference between youngest and oldest child in all families, and much more. • Profile pages: Profile Pages present the depth and diversity of family history person by person. Profiles beautifully display information about individuals in the tree and include photos, close family relatives, events, citations and much more. • Family Timeline: Family events and photos are arranged in an attractive, fun-to-use timeline. Zoom in from a century to a single day and compare any family member’s timeline with relevant historical events. • Family Timebook: The Timebook is a beautiful digital book of family photos and biographies of close relatives. Timebooks are generated using clever algorithms that resemble the way people create scrapbooks with tender loving care, but do so automatically. • Family Memory Game: This unique online game automatically generates personalized picture cards of close relatives and ancestors - based on a user’s family tree. It can be played in competition mode or against the clock. The game is ideal for educating younger generations about their ancestors and introducing them to the fascinating hobby of genealogy. Celebrate family events• Family Events: Important family events are listed and displayed on convenient monthly or yearly calendars – making it easy to remember special family occasions and send greetings. The above new features complement the vast range of existing features in Family Tree Builder 6.0, which include Smart Matches™, stunning family tree charts, facial recognition technology, interactive maps, photo albums and slideshows, book reports, family tree consistency checker, to-do lists and much more. The new Family Tree Builder 6.0 is available in 37 languages and can be downloaded for free from www.myheritage.com/family-tree-builder. A blog post at http://blog.myheritage.com/2011/12/new-release-family-tree-builder-6-0/18123 also displays some of the new features - well worth a look. Audrey Collins from the National Archives at Kew has posted some interesting thoughts on her Family Recorder blog concerning recent developments at the GRO in Southport. This follows Peter Calver's recent Lost Cousins newsletter piece on 'topsy turvy logic at the GRO' (www.lostcousins.com/newsletters/dec11news.htm), this blog's announcement last Friday of 27 job losses at the facility (see http://britishgenes.blogspot.com/2011/12/job-cuts-at-gro.html) and some gleanings from Audrey herself on recent calls made to local record offices by the GRO on a 'fact-finding' mission. It's well worth a read at http://thefamilyrecorder.blogspot.com/2011/12/whats-going-on-at-gro.html I'm particularly interested in the suggestion that the digitisation of Church of England marriage registers and their availability online might be a factor in the decline in demand at the GRO - a point I have heard raised in relation to archives and their content, but not yet to the GRO. Food for thought! The Society of Genealogists in London is hosting a one hour lecture entitled The Origins of Welsh Surnames: a Patrynomic Problem on Wednesday, 18 January 2012. The talk, to be given by Mari Alderman, will take place at 2pm. Costs and further details of admission can be found on the society's blog at www.societyofgenealogists.com/the-origins-of-welsh-surnames-a-patrynomic-problem-lecture-18-january-2012/. Carmarthenshire County Museum may be closed as part of a plan by Carmarthenshire Council to help save £8.5 million this year. Museums at Abergwili and at Parc Howard in Llanelli are also under threat. For more on the story visit www.thisissouthwales.co.uk/Carmarthenshire-County-Museum-risk-council/story-14068000-detail/story.html. Sir Charles Mordaunt was a wealthy Engligh country gentleman was notorious for involving the Prince of Wales( later King Edward VII) in his divorce case. Sir Charles was married on 7 December 1866 to Harriet Sarah Moncreiffe, daughter of a Scottish baronet. While Sir Charles killed foxes, deer, grouse, and salmon, or sat in Parliament, Harriet entertained numerous lovers, including the Prince and several of his aristocratic friends. In 1869, Harriet gave birth to an illegitimate daughter, and then confessed everything to Sir Charles that Lord Cole was in fact the father of the child. Sir Charles who was enraged and sued for divorce, the case was brought to court and the Prince of Wales was called as a witness, he admitted visiting Lady Mordaunt but nothing further was proved. Harriet's father, who had several other daughters to marry off, announced that she was mad. That would prevent a divorce trial and save the family reputation. She was incarcerated in various rented houses, and after some weeks either broke down or agreed to feign madness: smashing plates, eating coal, howling and crawling. She spent the remaining thirty-six years of her life in a lunatic asylum. A letter to Santa written a century ago has been revealed to have been found in a chimney in Dublin. The letter, written by an English family, was preserved on a brick shelf within the chimney and has only been slightly scorched. The discovery was actually made in 1997, but has only been made public now. FindmyPast (www.findmypast.co.uk) is offering a 10% discount on its subscriptions - simply type in SUB10 as the promotional code when you subscribe. A suggestion made to me when I announced the discontinuation of my Scottish GENES blog was to start tagging posts on British GENES to help people locate stories of regional interest. I've been doing this for the last couple of days and will continue to do so, but due to the variety of stories featured I will likely make such labels very general, such as England, Scotland, UK, FindmyPast, etc. A cloud of such labels is now available on the bottom right of this blog - click on a label and all stories carrying the labels will be filtered for your blog-reading pleasure! In due course I will retrospectively tag the stories on this blog from September (but please don't expect me to do so on the old Scottish GENES blog, I only have one life!). This is a great find by FindmyPast Ireland, which they placed on their Facebook page yesterday (www.facebook.com/findmypast.ie) - five minutes of original newsreel footage depicting the story of the Irish Civil War. I've not seen most of the footage before, and have recently been reading up on the war, as my wife's lot were up to their necks in it in Tipperary and Kilkenny! Family Search has recently added a Jamaican Church of England parish registers index from 1664-1880 to its databases - previously the records were available as waypointed digitised images only. The Families in British India Society (www.new.fibis.org.uk) has announced that BMD information from Allen's Indian Mail from 1843-47 has been transcribed and added to its free online database, with more to come. For more information visit its blog post at www.new.fibis.org/archives/505. Also keep an eye on FindmyPast Ireland (www.findmypast.ie) later this week/early next week - from various tweets circulating yesterday the site has been undergoing some maintenance 'in preparation for Christmas'. When I asked if there was a Christmas present coming, I was advised to "watch this space'!!! FindmyPast is supporting next week's Start Your Family Tree Week, so possibly there might be a release or an offer to tie in with that - fingers crossed! Online access to Social Security Death Index (SSDI) numbers in the United States is currently under threat, due to concerns over identity theft of the recently deceased, with thieves apparently able to make fraudulent claims using the social security numbers which have been placed online. Ancestry.com has removed its SSDI database completely from the Rootsweb platform and restricted access to numbers for those deceased in the last decade on its main site, whilst Genealogybank.com has also limited access. FamilySearch is currently reviewing its stance on the matter. The SSDI database contains information on over 90 million former US residents, with entries typically listing forename and surname of the deceased (with middle initial from the 1990s), death date (mostly post 1962), birth date, social security number, place of issue, and details concerning the place of death. If a person is found in the database, his or her application for a Social Security card (Form SS-5) can be ordered from the US based Social Security Administration. This contains extra information, such as birth place, father's name, and mother's full maiden name - as such, it has been an invaluable tool for US based genealogists for decades. A form of the SSDI database called the Death Master File has been available for decades, as it is is considered to be a public document, though this is now being challenged by various US based legislators. The Public Record Office of Northern Ireland (www.proni.gov.uk) will be closed to the public on 26th, 27th and 28th December 2011 and 2nd January 2012. PRONI will also close at 2.00pm this Friday 23rd December. The full list from across Europe is at http://europeanmuseumforum.info/images/documents/emya_2012_nominated_museums.pdf - not quite sure when the announcement will be made on a winner, but this year's was announced in May, so presume the same next year! Boxing Day is one of the most popular times of the year for people to research their family history. With the family gathered around for the festivities, it’s the perfect time to quiz the older generations on what they remember about the family, and get the youngsters inspired too. With nothing but repeats on telly all week, you’ve got time on your hands to get down to some serious record searching. With this in mind, findmypast.co.uk and Genes Reunited will be taking part in this year’s Start Your Family Tree Week. From Boxing Day 2011 right through to New Year’s Day there’ll be special offers available every day, including free getting started guides, printable charts, discounts and competitions. To find out what will be on offer, visit www.findmypast.co.uk/content/start-your-family-tree-week/index and www.genesreunited.co.uk/static.page/syftw now! Attempts to prevent Brent Council from closing six libraries in north-west London have failed at the High Court. The libraries were earmarked for closure in a bid to save £104 million. The BBC has the full story at www.bbc.co.uk/news/uk-england-london-16251528. Children’s Lives will be a fascinating insight into Birmingham’s history, as well as a key resource for understanding the changing nature of childhood locally, nationally and internationally. Photographs, archive documents, costumes, artwork and objects will bring to life more than 300 years of history, with collections drawn from Designated and nationally acclaimed collections held by Birmingham Archives & Heritage (BA&H), BMAG and the Media Archive of Central England. For further details visit www.bmag.org.uk/events?id=1734 and www.connectinghistories.org.uk/childrenslivesinfo.asp. The membership of the Genealogists for Families project has just passed the one hundred mark, whilst the number of loans made has just passed two hundred. In total some $5650 has already been made in small loans to borrowers around the world without access to traditional banks seeking to expand their businesses, support their families, save for the future and raise themselves out of poverty. For more information on the project, and to sign up, please visit http://genfamilies.blogspot.com. A new report, Culture on the Go, from UK web-watchers CIBER Research, shows how access to information is changing as people search for, read and use information on the move. A growing proportion of web browsing happens on smartphones like the new Mac iPhone 4S and tablets like the iPad, and no longer on PCs and laptops in homes and offices. This shift will have a radical impact on the design and functionality of websites, and will inevitably reflect back to the desktop screen itself. Professor David Nicholas of CIBER said, "We are seeing a transformation of behaviour. We know that the mobile device will soon be the dominant platform for searching the Web and yet right now we know virtually nothing about how people seek, read and use information via these devices. The CIBER group are cyberspace voyeurs - we’ve analysed tens of thousands of visits and are making sense of these digital footprints to give us an understanding of behaviour in the virtual space." The CIBER group has developed a bespoke deep log analysis technique for monitoring behaviours online. The group conducted their research for Europeana, Europe’s cultural heritage portal, to look at how it should be developing its information services for the Google Generation. The report sets out to show how people search the Web via mobile devices and compares this with use of the same platform by PC and laptop users. The data was collected for visitors to Europeana.eu using deep log analysis and data mining techniques during 2010 - 2011. The main findings were that visits from users on the go are very different in the aggregate to those from fixed platforms. Visits are typically shorter, less interactive, and less content is viewed per visit. The variation between different mobile devices is huge, with information seeking on smartphones substantially different from that associated with PCs and laptops, whereas from iPads the behaviour tends more towards PC-based browsing. Most websites have been designed for access from a PC or laptop, and accessing the Web via a mobile device is quite a different experience. Many websites from the cultural heritage sector are attracting a new demographic that includes more digital natives. This, coupled with the fact that people are used to paying for content via mobile devices, heralds a transformation in the way cultural web services will be delivered. Jill Cousins, Executive Director of Europeana said, "We were prescient in designing a Europeana ‘lite’ interface for users with mobile phones three years ago. However, the mobile screen is too small to get a good experience of the great books and paintings on Europeana. Tablet devices like the iPad give high-resolution display with enough screen estate to explore your favourite pictures. This report shows us that we must speed up our development for new mobile and tablet interfaces." Culture on the Go also reported on the countries showing the heaviest mobile use of Europeana, and showed France led Europe with over 23% of mobile use. The study also shows that typically, Europeana users look at material from their own country, but that interest in other cultures varies by country and can be tracked. CIBER’s techniques have also been used to study each country’s take-up of mobile devices, and points to a greater democratisation of online access than was possible using fixed platforms. Read the full report at: http://pro.europeana.eu/web/guest/publications.